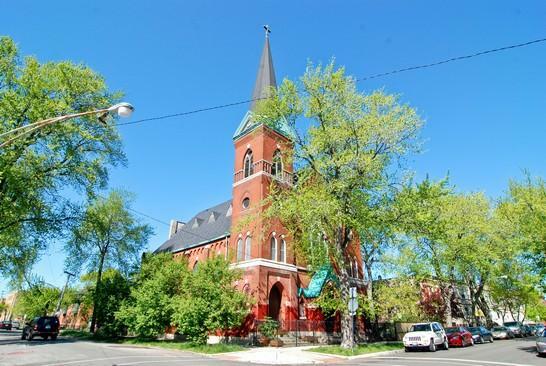 As is the case with this 19th century Chicago church, some spaces are most noteworthy for their potential. The current owner, a print media professor and book publisher, turned this amazing cathedral into a comfortable live/work space. Treated as a single family loft, the church has been outfitted with a free-standing kitchen and sliding transparent paneled doors and furniture to visually break up the space into “rooms”. Currently, the building is on the market and the next owner may be the one who really gets to unlock the potential of this creatively re-purposed building. With a 55ft x 125ft lot, we bet there are sustainably minded architects and designers out there that could imagine an amazing eco makeover for this space. The high ceilings and historical construction details are one of a kind, but another advantage the new owner will have is that the building is already zoned RT4, which means it can be subdivided into multiple units. Although from the exterior the building looks very much unchanged from its original use as a Lutheran church, a step inside reveals the pair of incredible oak staircases, forty-foot ceilings, and even a bi-level bell tower. 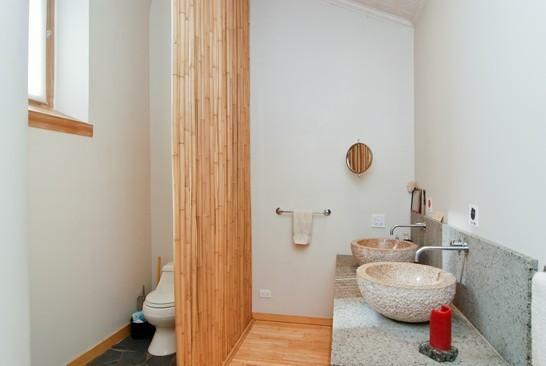 On the main floor, the space has been divided into three bedrooms; a full bathroom cleverly uses a bamboo screen as privacy divider; and a dining nook is set up where the altar was previously positioned. The second floor is a wide balcony that surrounds the perimeter. This open floor plan allows natural light to spill deep into the space. 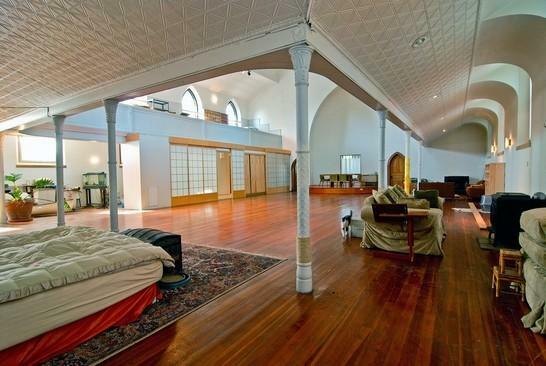 This church is not the first in Chicago to be converted into a living space. Other conversions, like this one in Ukrainian Village, have been made into condos. A chapel in Utrect is among our favorites for its modern take adaptive reuse, and some of you may remember the famous Limelight nightclub in New York City which was housed in another converted house of worship. In fact, just this year, that same space was transformed again into a venue for boutique shopping. As per LEED standards, this church has real opportunities for points related to its sustainable site, use of an existing building, as well as capitalizing on the large windows that allow for the permeation of natural light. Calling all green savvy builders – 2558 W Cortez could be an eco architectural treasure just waiting to happen! For more details, you can see the full listing on the property here. As is the case with this 19th century Chicago church, some spaces are most noteworthy for their potential. The current owner, a print media professor and book publisher, turned this amazing cathedral into a comfortable live/work space. Treated as a single family loft, the church has been outfitted with a free-standing kitchen and sliding transparent paneled doors and furniture to visually break up the space into "rooms". Currently, the building is on the market and the next owner may be the one who really gets to unlock the potential of this creatively re-purposed building.